OBT Chiro Village Homestay in Kampong Cham province has an environmental and social ethos that speaks louder than words. Located just outside of Kampong Cham, OBT Chiro Village offers a peaceful escape on the edge of the Mekong River. Spend a night in a community homestay, choose a river escape in a bamboo bungalow or savour vegan and vegetarian food at the Bamboo Restaurant. The site also boasts an organic farm, bees, composting and a recycling project! All proceeds go to the Organisation for Basic Training (OBT) who provide free education for youth from Chiro Village. 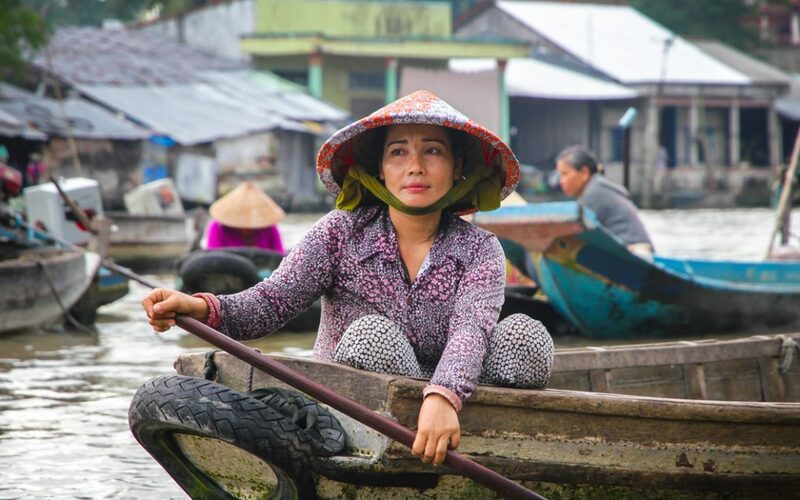 The Kompong Luong floating village is the product of one man’s vision and the collective endeavour of the entire community. Situated in the southern section of Tonle Sap lake in Pursat province, this is one of the most intriguing parts in Cambodia. Here, you will experience how the community adapts in their environment. 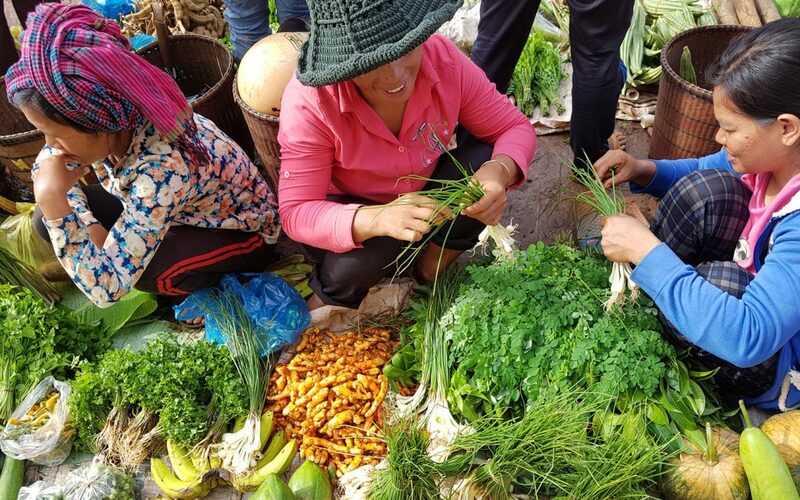 You will have the chance to visit two very different villages, a Vietnamese village and a Khmer village, working together in harmony. Come and visit this amazing place where nature helps heal wounds of the past. And where people have an incredible respect and appreciation for the environment. 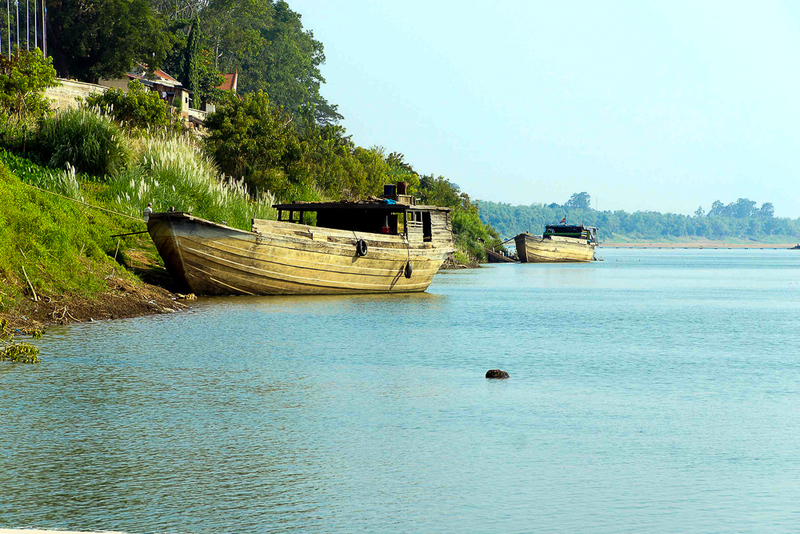 Koh Trong Island is a peaceful island escape just across the Mekong river from Kratie town. Known locally as the ‘market garden’ of Kratie, Koh Trong Island is home to fruit orchards, friendly locals and a superb, relaxed island vibe. Easily accessible, the island is only a five-minute ferry ride from Kratie town. Stay overnight in a well-equipped homestay or spend the day exploring by bicycle or moto. Picture traditional ox-carts towing farmers and their freshly picked produce along sandy roads lined with tall palm trees. Koh Trong Island is a bite-sized taste of Cambodia – a perfect location to relax and unwind. Located in the mountains of Bokor National Park, Prek Thnout offers a great scenery to its visitors. Tourists can follow the boardwalk of the mangrove forests to one of the waterfalls or do a guided walk to learn about the environment, traditional ceremonies and food cooked by local people. Fireflies often appear during the night which makes the atmosphere even more special. There is also the opportunity to learn more about non-timber-forest-products like rattan or bamboo which are grown in Kampot Province. 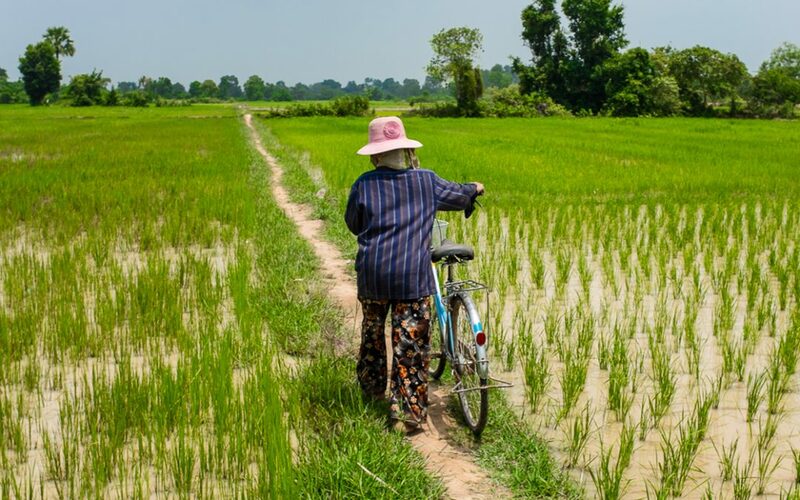 JOIN THE MOVEMENT FOR SUSTAINABLE TRAVEL IN CAMBODIA AND SOUTH-EAST ASIA.